Roller coasters are one of the most popular attractions at amusement parks. In this activity, students will explore the world of structural engineering, as well as the motion and speed of an object, as they create their own small-scale roller coaster model. Students will need to use specific materials and will only have 20 minutes to complete the activity. 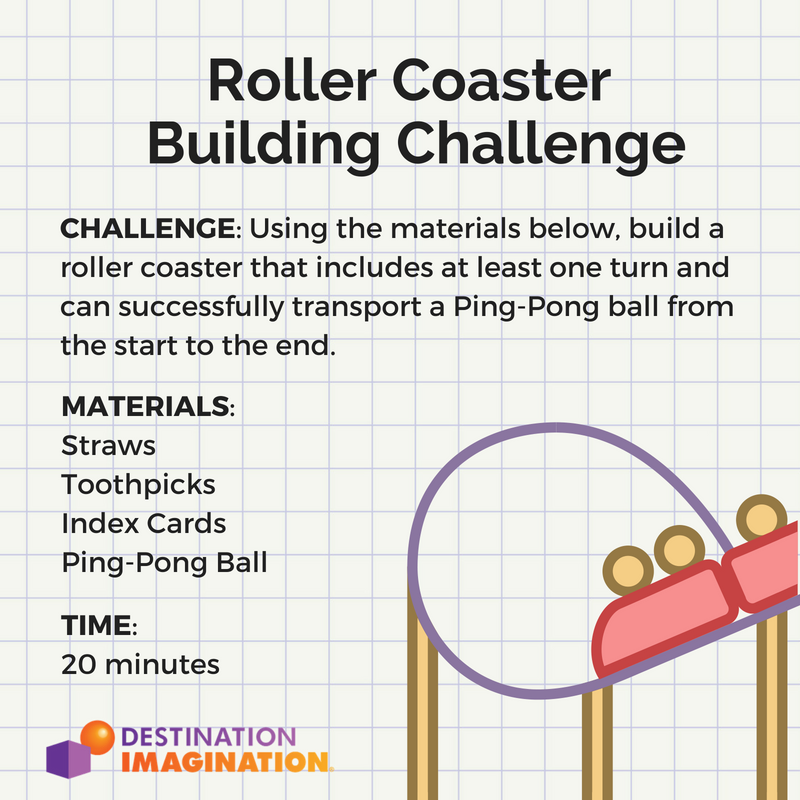 Challenge: Using the materials below, build a roller coaster that includes at least one turn and can successfully transport a Ping-Pong ball from the start to the end.